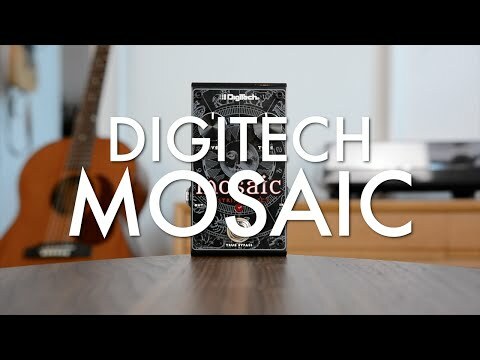 The DigiTech® Mosaic Polyphonic 12-String effect pedal sets you upon the path of creating lush 12-string sounds with either 6-string electric or amplified acoustic guitars. Immediately identifiable 12-string tones are now yours with octave low strings and doubled high strings. Single notes and full chordal strums shine with polyphonic richness and celestial movement that will inspire you. 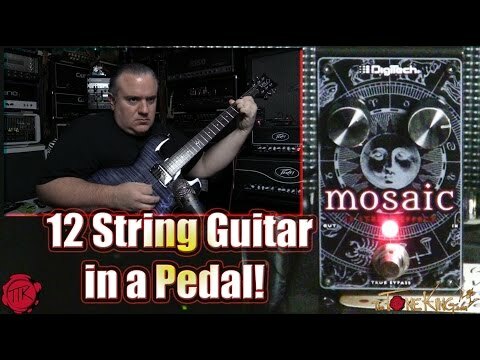 The Mosaic’s balanced low-end response with crisp octave shimmer produces a tone that’s lush and articulate, just as with a 12-string guitar. Tailor the Mosaic’s sound with the independent Level and Tone controls. Level will control the 12-string effect intensity while Tone shapes the overall brightness of the effect. 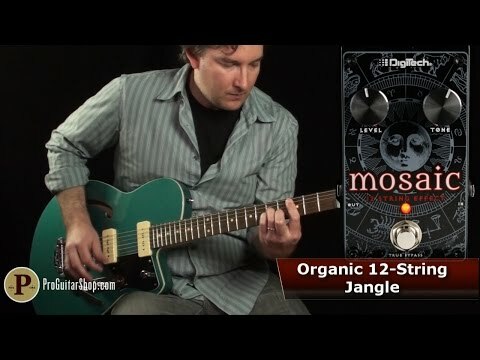 The Mosaic will give you a richer, more resonant and full tone than a standard six-string guitar. It is true bypass and uses a 9V DC power supply to easily integrate into your existing pedalboard. A pitch effect purpose-built to make 6-string electric and acoustic guitars sound like 12-strings. Flawless tracking and beautiful overtones, unisons and octaves make this box useful in a wide variety of musical contexts.